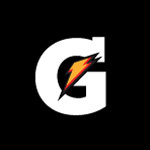 Much has been said in the press and on blogs about Gatorade’s recent brand relaunch under the “G” iteration, and their new commercial. Our interest is not to debate whether Gatorade has become Vitaminwater, or whether consumers get the “G” concept – rather we’re interested in the athlete endorsers that Gatorade features on their website and in the new commercial. Misty May-Treanor – includes the old logo on her shoulder in main image on the home page, and old logo with link under Misty’s Partners. Dwyane Wade – League of Clutch banner/link on Profile page (“League of Clutch” promo is over redirects), and G2 Footsteps commercial in Channel page. *We also looked at the narrator – Lil Wayne’s official site, and there was no mention of the video or “G” on his site. **We also checked the site of artist Murs who was used in a second commercial and there was no mention of the video or “G” on his site. Mia Hamm – Foundation site: old logo (no link) on Corporate Support page. Matt Kenseth – Old Logo with link in sponsor listing. Peyton Manning – Old Logo (no link) listed with other sponsors on bottom of home page. Kristine Lilly – Two Mentions: Business Partner page (print image old logo and link), and Favorite Links page. Ryan Newman – Old logo with link on bottom sponsors footer. Maria Sharapova – Logo/Profile/Link on Sponsors page. 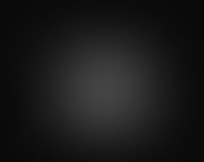 Photo album and 2 videos. (In recent days Maria’s site has removed all Gatorade-related items because she no longer is under agreement). So of the 28 total athletes used from the commercial, new site, and old site only nine showcase any association with Gatorade. For the new “G” rebranding of the 20 total personalities (18 athletes, 2 artists) used in the commercials or listed on the new site, only five showcase any association with Gatorade, and none use the new “G” branding. Two things come to mind when analyzing that – 1. Gatorade doesn’t care if the athletes they endorse showcase the association in any way, and 2. Gatorade and their AOR see zero value in a possible online marketing strategy using those 20 known personalities to compliment the new “G” launch. Of course there is also the matter that, of the 28 athletes – 10 didn’t even have sites (our white paper for athletes online directed at agents is coming soon). This is a campaign that Gatorade is rumored to be spending $150 million on, and one that a WSJ Media & Marketing article today noted the brand’s strategy was, “trying to build buzz by holding back details so that consumers will hunt for information and clues online.” Let’s see i can think of 20 websites i’d look for more info on – oh wait there’s no current branding, no commercial info, no nothing on any of those. It’s not too difficult to think of how they could have used all these athlete’s existing sites (and created mini-sites for ones that don’t even have them) to work in a buzz-building, viral, or social media manner to compliment the launch. Everyone knows the “Gatorade Shower” from sporting events, so one obvious idea is they could have created a little “G” branded orange cooler like you see on the sidelines as an app that sits on sites and allows users to give a “G” Shower (then if Gatorade switched their AOR to CP+B they could introduce a “G” shower product line – spray, lotion, wash, etc). Big missed opportunity is the conclusion.